Swallowed by a forest preserve inside southwestern Cook County, Bachelors Grove is a one acre burial grounds with a worldwide reputation for being one of the most haunted places in America- some call it the most haunted cemetery in the world. Able to be located only by a foot path (that is only open to the public during daylight hours) over the Midlothian Turnpike across from Rubio Woods, it's a favorite of urban explorers and paranormal hunters alike, though for decades after being abandoned and falling into disrepair, it was commonly known for being a desecrated and often vandalized party spot. Roughly a hundred yards down the footpath, which used to be the main road at the turn of the twentieth century, the cemetery is surrounded by a tall chain link fence that once (but no longer) held a barbed wire top. 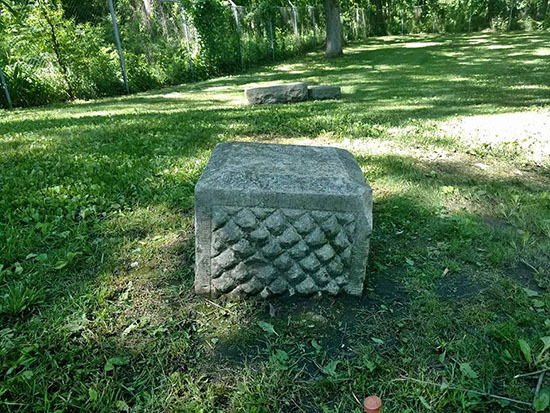 It is currently well maintained by the park district, which keeps the grass mowed and garbage cans available to the public, but vandals still manage to leave their mark on a place featured in too many books and articles on haunted America to count. The origin of the cemetery is relatively mundane; supposedly named for the number of 'single men' who settled in the area in the early 1800's, the grounds itself is located within a heavily wooded area that sported a number of pioneer settlements at one point in its history. There are no houses in the woods left, though many legends speak of 'phantom homes' that randomly appear in the woods, off the path and along the creek that runs through the forest. 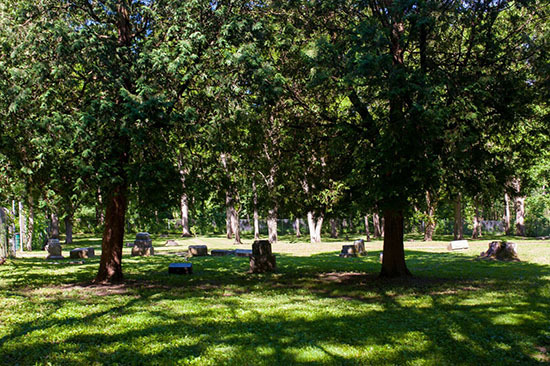 Artifacts such as pottery, foundation stones, and other remnants of pioneer life have been found all over the grounds. Sticking out from the creek down the trail past the cemetery, a set of foundation stones can be seen. Other stories include balls of light that follow explorers through the woods, especially at night. Sometimes they are the flashlights of police officers looking to enforce the park's closing hours and prevent vandalism, sometimes they are headlights from the bordering roads. Other times, they remain unexplained. 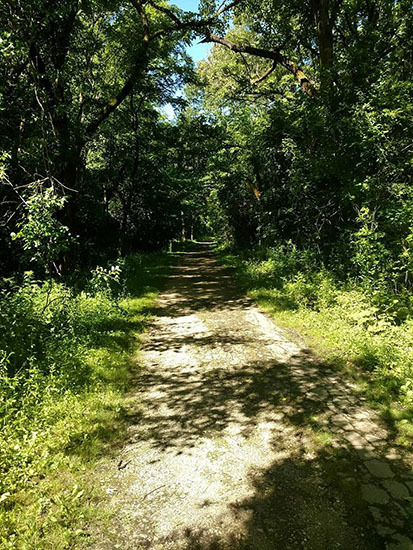 Be careful exploring the woods behind the cemetery, even though there are beaten trails, they are unreliable and the woods are very thick. My photographer and I were separated by ten feet and couldn't see each other, and many locals report getting disoriented, turned around, and lost in the woods for hours. 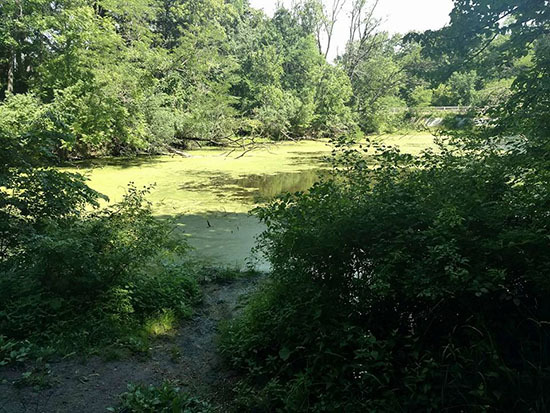 Directly behind the cemetery, accessible by a hole in the fence that never seems to stay repaired, is a cesspool drainage pond for the nearby sewer system. This pond sits off Ridgeland Road, a common highway used by Prohibition gangsters to escape the city. Local legend says this particular pond was a favorite body-dumping ground by Capone and his southside gangs. Many people report 'heavy' feelings while standing on the muddy shore of the algae-overgrown pond. Other common reports include hearing large splashes but seeing no ripples or evidence that something heavy had been dropped in the water. Having stood there myself several times, I never heard anything amiss, however the pond undeniably smells like Death. Then again, it is as cesspool. 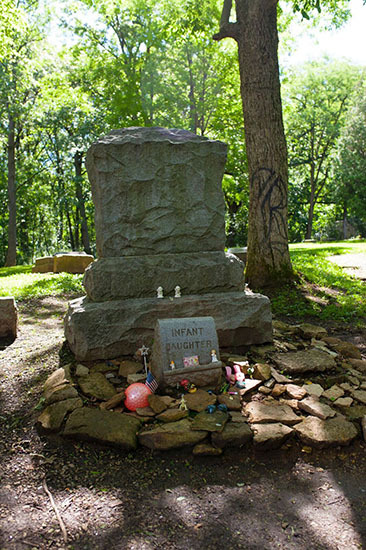 One of the most well-known graves in Bachelor's Grove is that of a baby girl who died mysteriously in the early 1900's. 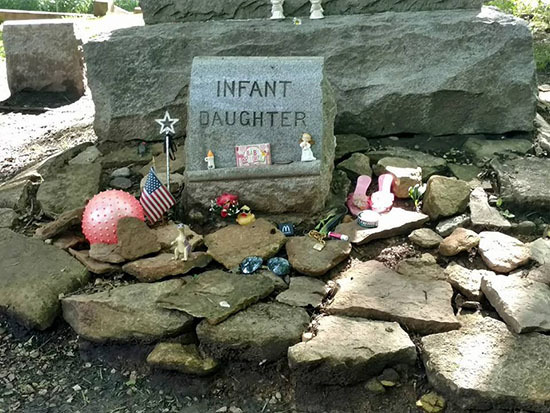 Visitors to the cemetery often leave trinkets and small toys on her headstone. Photographs of her grave often include orbs, such as the two we managed to capture. Some legends say a baby can be heard crying in the cemetery in the early morning hours, just before dawn. 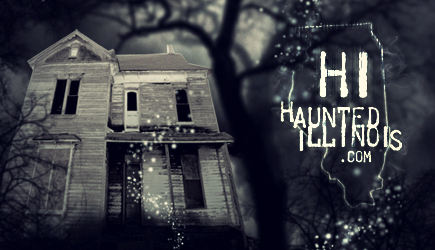 Undoubtedly the most famous 'ghost' photographs known to paranormal lovers was taken inside Bachelor's Grove. 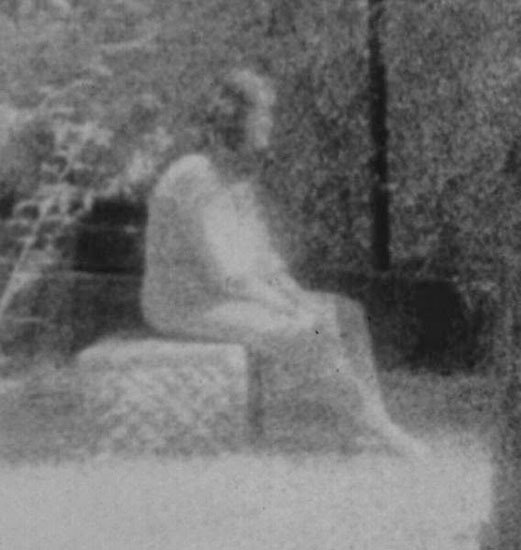 Known as the 'Seated Woman' (or other variations), it clearly depicts a woman sitting on a very distinct bench-level headstone inside the cemetery. For decades, the photographer has claimed that the cemetery was completely empty when he snapped the picture. We took a picture of the same headstone for comparison. Bachelor's Grove was perhaps most infamous during the time of its worst neglect and disrepair. 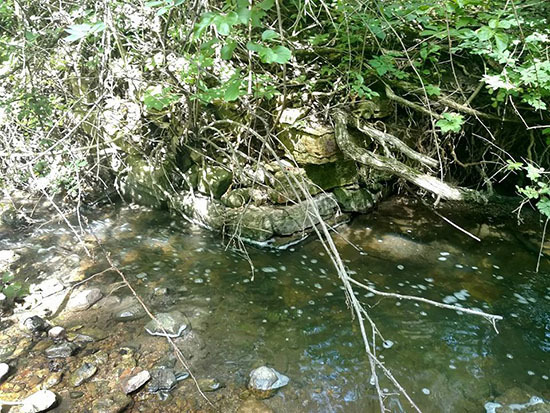 Through the 1960s, 70s, and 80s, it was commonly associated with being a haunt of local ne'er-do-wells who desecrated stones, blanketed the grounds with litter and drug paraphernalia, and otherwise raised illegal Hell. Rumors spread from this reputation to include actual attempts to raise Hell, through Satanism and devil worship. Claims were never substantiated and were likely simply stories to ward off teens from hanging out with the wrong crowd, but the reputation continues to linger. 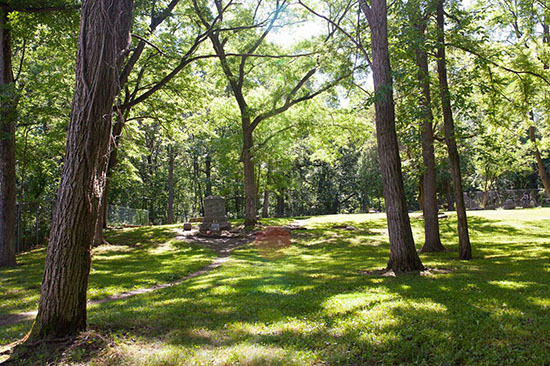 Today, Bachelor's Grove is mostly considered a piece of local history, and like much of Chicago, the thread of darkness and intrigue that comes with it is often viewed as endearing to the locals. The sight is open to the public during the daylight hours, but please be respectful of the grounds and leave it in the condition you found it, or better. Erin Davidson, ghost aficionado and urban explorer. April Adams, punk rock picture-taker.